Simply put, "I am here for you." Buying or selling a house is an exciting time. It also is a time filled with numerous questions and myriad details. So, in addition to being your eyes and ears on the local market, I am here to ensure that your transaction moves along smoothly, beginning the day we first meet and continuing through closing and beyond. It is my goal to do this with integrity, compassion and a smile. 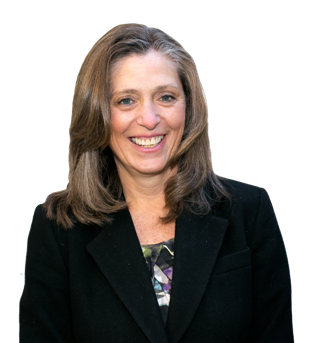 I have lived in Ridgefield for 30 years and been a full-time real estate agent since 2004. Previously I was a public relations and marketing consultant and, earlier, a reporter for the Hartford Courant. In those roles I learned how important it is to be persistent and diligent and to view situations from many angles. Today I use those skills to provide sellers with customized marketing campaigns, buyers with the confidence they will have quick access to new listing information and everyone with the knowledge there are few problems that can't be solved. Accomplishments and awards: Accredited Buyer Representative (ABR); E-Pro Realtor; New Homes Specialist and Cendant Certified Relocation Specialist. Member of the National Board of Realtors, the Connecticut Board of Realtors and the Ridgefield Board of Realtors. We could not have been more satisfied with Kristi. She handled the sale of our previous home and purchase of our current one. It was clear from the beginning that Kristi has an excellent understanding of the local market, she was available on a moment's notice, and was an absolute pleasure to work. It was a pleasure working with Kristi Vaughan. She answered our questions immediately and knew the areas she took us to, letting us know helpful information about what was nearby. We ended up with our dream retirement home, at a few thousand less than what we thought was the final bid! We were both very happy with Kristi's expert service, and would recommend her highly!! Kristi is a consummate professional and also a lot of fun to work with. She worked with us on a grueling 10 month short sale process and never lost her cool or her patience. She fully knew how to navigate the process, educated us along the way and helped us negotiate the deal. She is an experienced realtor who continues to display enthusiasm and passion for her profession. Kristi was so patient and helpful in our relocation to CT from Atlanta. We looked at lost of houses, had tons of questions, and she responded to each one thoroughly and quickly. When negotiations got sticky, she helped push things along and we are very happy with our purchase. Kristi took the time to understand what I was looking for then adapted quickly to homes that met our needs I was looking for a new home because I had relocated for my job. Kristi had experience in working with relocates and was able to work hand in hand with my attorney to close quickly and smoothly. I would recommend Kristi to anyone who is looking for a new home.